CYC Members enjoy reciprocal moorage and Clubhouse privileges at over 75 clubs worldwide. Participating clubs include the Lahaina Yacht Club, San Franscico Yacht Club, Royal Victoria Yacht club, Tacoma Yacht Club, Orcas Island Yacht Club and many more. Log in to the Members area to see the list of participating clubs. 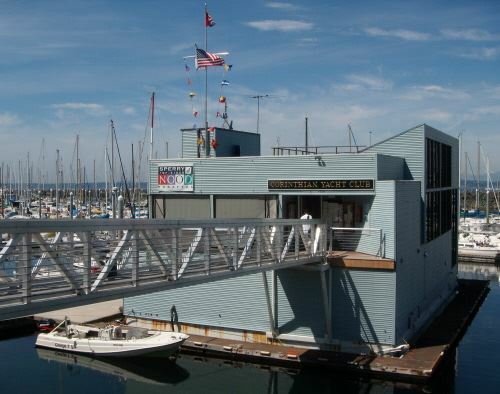 Reciprocal Moorage with CYC Seattle is offered at Shilshole Marina Guest Moorage and is available to members of reciprocal yacht clubs, those with pre-arranged agreements with CYC. Arrange guest moorage with Shilshole Marina on VHF Channel 17 or by calling 206-787-3006 Monday through Saturday 8:00 am to 4:30 pm (or after hours 206-601-4089). Visiting members of reciprocal clubs are invited to join CYC activities. The Club is usually open on Thursday and Friday evenings for dinner and there is a Lunch on Mondays. The Club is also open after spring and summer week night racing on Wednesday and Thursdays at Shilshole and after regattas on weekends. Reimbursement is limited to two nights’ moorage per calendar year per yacht. Reimbursement is limited to 50ft vessels and does not include electricity. Vessels over 50ft will not be reimbursed for any portion of their vessel. Reimbursement is provided on a first come, first served basis based on when paperwork is received by CYC. Space is limited to two yachts per night.